Australia’s largest energy retailer will be able to provide power to the national electricity market in five minutes compared with 15 minutes previously from its 224 megawatt Quarantine facility. 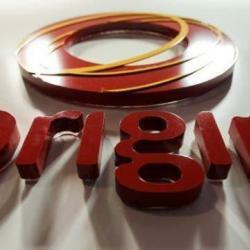 Origin retrofitted an aero-derivative unit built by GE to one of its 22MW turbines at the Torrens Island site and is considering upgrading a further three turbines in coming years, potentially lifting the plant’s capacity to 240MW. The original four-turbine plant opened in 2002 with a larger fifth turbine adding a further 120MW in 2009. “Generation is becoming more flexible to support higher penetration of renewables and our investment in a new aero-derivative unit allows us to ramp up to full power in under five minutes, helping Quarantine play a key role in keeping the lights on in South Australia,” Origin’s executive general manager for energy supply and operations Greg Jarvis told The Australian. The change allows Quarantine to tap into a rule change due in 2021 which will reduce the settlement period for the electricity spot price from 30 minutes to five minutes. The change was made by the regulator to provide a better price signal for investment in so-called fast response technologies — which include gas peaker plants and rival supply options such as batteries and demand response by electricity users — to counter accusations the big power generators had been using their sway to inflate prices. The rule tweak was also made to incentivise more back-up generation to complement booming but intermittent supplies of solar and wind in the power grid. Clean energy is growing rapidly with renewables for electricity generation surging 23 per cent in the September quarter on the prior three months, and accounting for just over 13 per cent of generation in the national electricity market, according to consultancy EnergyQuest. “The market is changing rapidly as we shift to cleaner energy … with more than 10,000MW of renewables to come online ­between now and 2019, and the flexibility of Origin’s peaking gas power stations will be key to supporting this growth,” Mr Jarvis said. The rapid switch to renewables is having a major impact on the grid, with solar generation jumping by 38 per cent in the three months to September, while wind grew by 16 per cent, displacing gas from the grid’s power mix. Hydro power was at its highest level in more than five years. As Origin looks to harness the capacity of Quarantine, gas peaking plants face a challenge to remain competitive. Australia’s $10 billion fleet of gas “peaker” power plants may be forced to close as cheaper, fast-response batteries force the fuel out of the nation’s power market, consultancy Wood MacKenzie said in December. Amid a 25 per cent slump in gas use for electricity generation in the September quarter, batteries are set to render many gas plants redundant as soon as 2025 by smoothing out volatility and supplying the grid more cheaply. Gas peaking plants may now be up-ended by utility-scale batteries, which can provide a similar jolt to the grid. About 7000MW of gas could be shuttered by 2025, 13 per cent of the national electricity market’s capacity, according to data compiled by The Australian. Gas plants operated at just 14 per cent of capacity in the three months to September, EnergyQuest says.